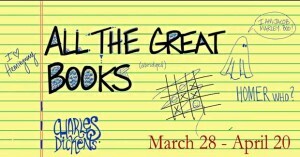 Seen a good book lately? How about eighty-six? In ninety-eight minutes. Join Jaron Carlson and Jay Burns, two-thirds of the cast of Cyrano’s Theatre Company’s production of All The Great Books (abridged), another in the series of hilarious shows developed by The Reduced Shakespeare Company (those folks who brought you The Complete Works of William Shakespeare (abridged)) as they give us a backstage tour as to how it all comes together. 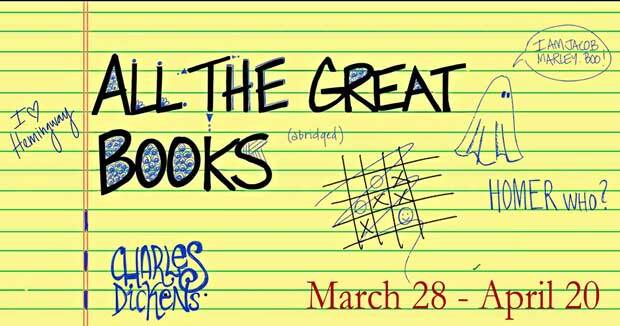 All The Great Books (abridged) runs March 28th-April 20th. ORIGINAL BROADCAST: Friday March 21st, 2014 at 2:45 p.m.